Explore Color Recipes, Building Blocks & Free-Motion Quilting. 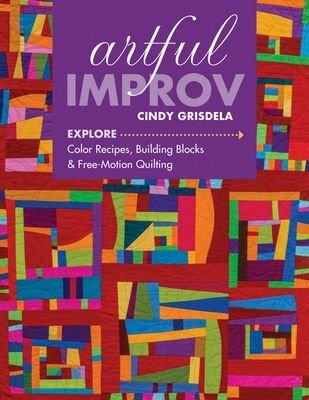 Learn to use simple design principles to create unique improvisational quilts. Without using patterns, learn 5 easy piecing techniques to add to your improvisational toolbox - angled stripes, circles, blocks, curved strips, and inset strips - and watch the art unfold before your eyes. Focus on color combos and negative space to discover your personal style, and then add dazzling texture with free-motion stitching. With finished art quilts as unique as you are, you'll want to hang one in every room!